RFID is used for a wide variety of applications in access control. 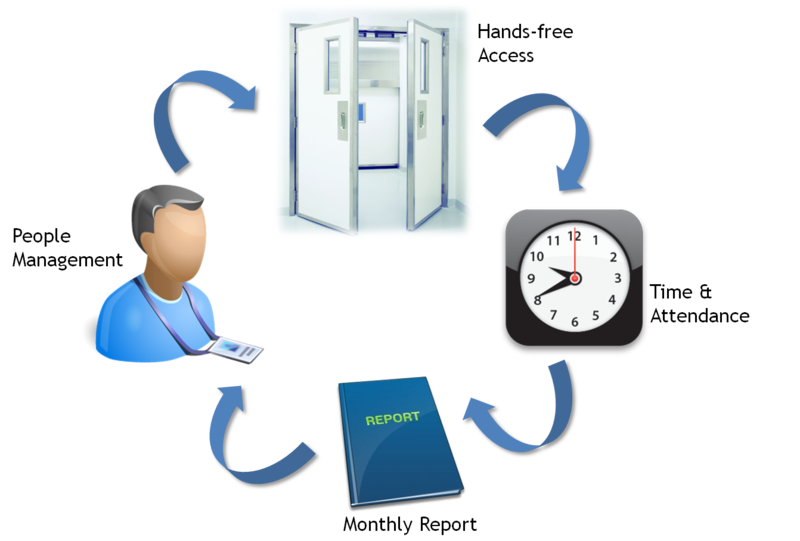 With RFID readers and controllers at entrances, people carrying specific RFID tags could enter and exit particular facilities with their entry and exit record being recorded and tracked. Common use of RFID access control solutions is to keep track of employees’ time and attendance record when readers and controllers are installed at the office entrance. Some other examples are car parks and event sites access control. The latest RFID access control system offered by Hong Kong RFID Ltd. is an active access control system. Why active? With active RFID access control systems, access control can be performed hand-freely! Compared with passive RFID (battery-less) which is used in the past, active RFID has a larger reading coverage and longer reading range. Besides, reading distance is adjustable from less than one meter to up to several meters. To maintain security with authorized entry, shorter reading range is used. To keep track of certain personnel within a larger area, longer reading range is used instead. What’s more is that active access control system is less influenced or affected by environmental constraints such as liquid and metal factors, allowing uses in different operating environment. During operation, specific active RFID card could be read in a long distance. Access control can be performed as soon as people carrying the card walk towards the entrance. Entry and exit records are logged without having the card placed near the reader for recognition. Active RFID offers a more flexible and automated access control system. Hussar TM RFID Active Tag is used to provide excellent active access control solutions. It is the world’s smallest active tag. With its slim and small outfit, together with accessories such as key fob, key chain, tailor-made card holder badge, silicon case and buckle, the tag is specially designed for applications involving tagging of human. The battery of Hussar™ tags is also replaceable. 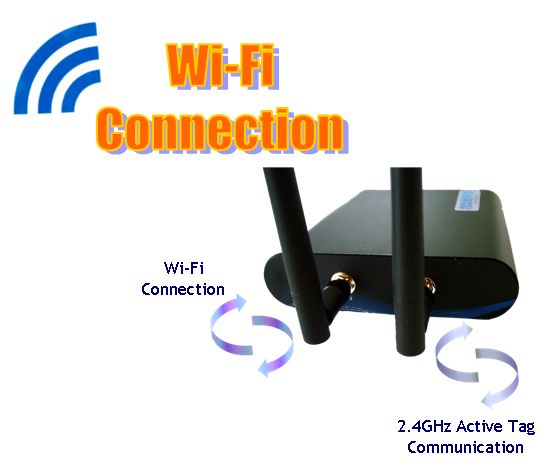 With directional antennas, EmpressTM Active RFID reader is specially designed for access control. Compact design of the reader, as small as a router, provides extra user friendliness to any kinds of operations. Besides, it is easy to install as it has Wi-Fi connectivity. Short range readers are provided to suit unique customer operations as well. The whole active access control system consists of tags, readers, controller box and door locks. With our active access control system, we hope our customers enjoy perfect access control solutions, with more convenience, efficiency and flexibility.